CHEC Port City Colombo has signed up with MTI’s idea2fund, thus demonstrating their commitment to Sri Lanka by helping to identify and groom emerging Sri Lankan entrepreneurs. idea2fund by MTI Corporate Finance is an enabling platform for prospective Sri Lankan entrepreneurs to present their venture ideas, be challenged and receive constructive feedback, get linked with investors or funders and receive start-up consulting advisory from MTI. “In the next five to 10 years, Sri Lanka (as it is globally) will witness disruptive business models that will challenge conventional business models. This will eventually lead to a radical change in the way wealth is created, accumulated and invested. Meanwhile, a new breed of entrepreneurs will challenge conventional and established businesses and business models,” said MTI Consulting CEO Hilmy Cader. 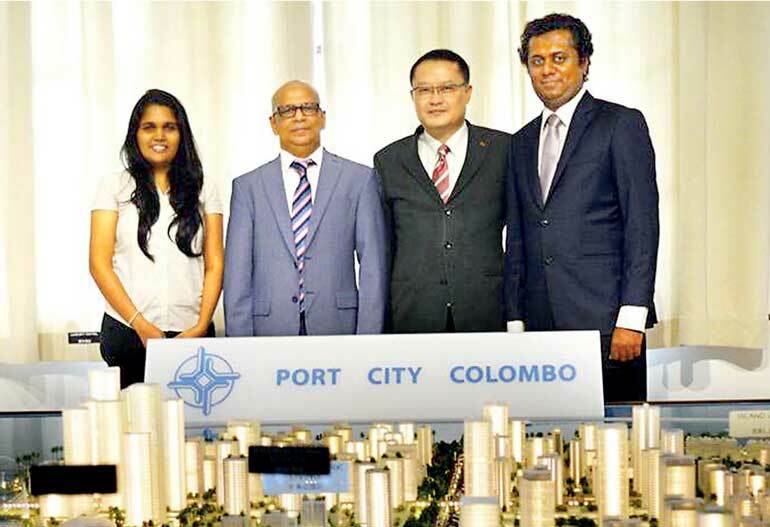 CHEC Port City Colombo, a wholly-owned subsidiary of China Harbour Engineering Company, whose parent company is China Communications Construction Company Ltd. (CCCC), is listed on the Hong Kong Stock Exchange and currently employs over 130,000 employees in 135 countries and regions. CCCC is the world leader in port, road and bridge design and construction, dredging and container crane and heavy machinery manufacturing. It has designed five out of the 10 largest container terminals and cross-sea bridges in the world. In addition, CCCC is a major real estate investor and developer with vast experience in real estate construction. CCCC, through its subsidiary companies, has been actively involved in Sri Lanka’s development since 1998. It has have executed some of Sri Lanka’s largest construction projects, including the Southern Highway, Outer Circular Highway, Hambantota Port, Mattala International Airport and Colombo South Container Terminal. MTI Corporate Finance is the corporate finance arm of MTI Consulting, a boutique strategy consultancy that provides a comprehensive range of services, including due diligence, feasibility studies, funding new businesses or capitalisation of existing ones – from IPOs to private placement facilitation, M&A facilitation and advisory on governance, compliances and risk management.